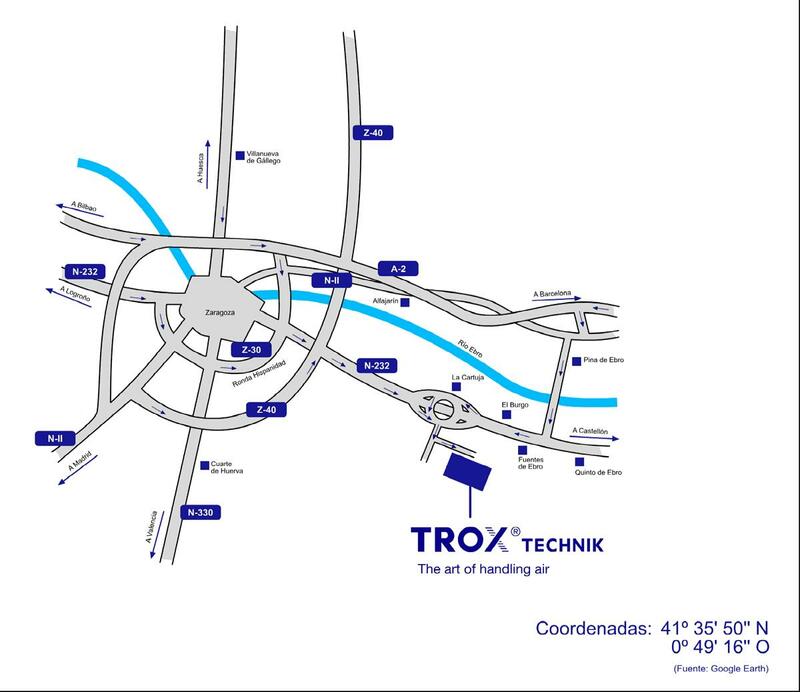 Type EM-LON | TROX España, S.A. 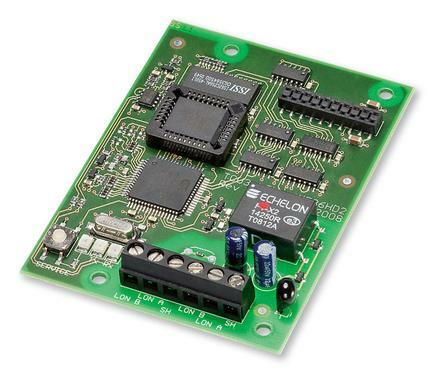 The expansion module EM-LON supplements the EASYLAB base components (controller TCU3 or adapter module TAM) with a LonWorks interface to link rooms or individual volume flow controllers to the central BMS. The LonWorks interface supports the EASYLAB room operating mode concept. It is possible to set operating mode defaults in order to control different volume flow rates for daytime and night-time operation; it is also possible to increase or reduce the air change rate by a certain amount (volume flow rate setpoint change), e.g. to influence the room temperature. Using the LonWorks interface, an individual alarm management system can be set up by consolidating configurable EASYLAB alarms. The interface also enables the transfer of actual operating values such as volume flow rates and damper blade position for a controller or for all controllers in a room. Expansion module to supplement an EASYLAB base component (controller TCU3 or adapter module TAM) with a LonWorks interface to link rooms or individual volume flow controllers to the central BMS. 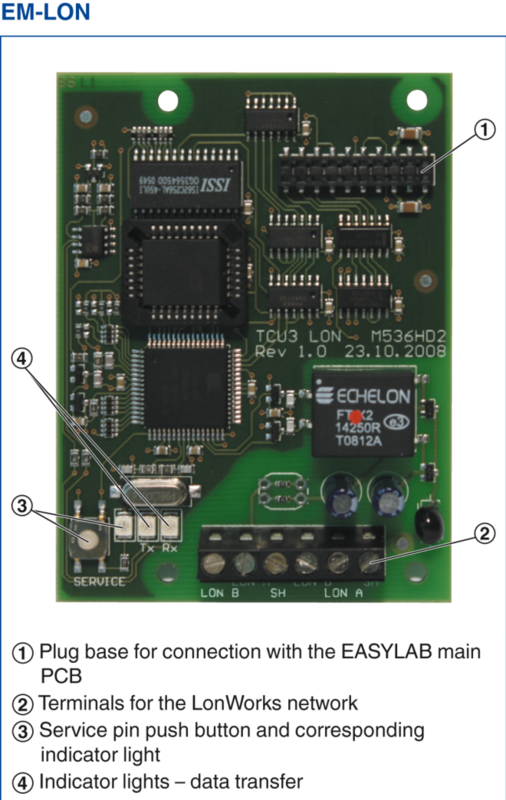 The expansion module includes a LonWorks transceiver FTT-10A (free topology, twisted pair), a service pin push button for LonWorks integration, and indicator lights for 'sending data' and 'receiving data'.